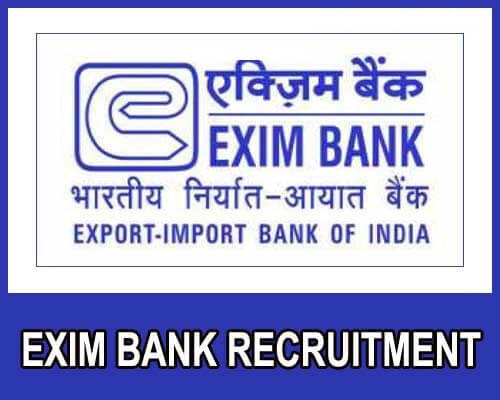 EXIM Bank Recruitment has been announced for the posts of Management Trainees. EXIM Bank or Export Import Bank of India is a premier financial institution engaged in financing, facilitating and promoting India’s international trade. EXIM Bank has invited applications from fresh management graduates. In this post I am providing you all the important details about the recruitment. Links for the official notification and official website are also given at the end of the post. Relaxation in age permitted as per the norms. The candidates should possess excellent communication skills and should be proficient in the use of computers and information technology. Initially there will be one year training for the Management Trainees during which they will be paid stipend of Rs. 32500.00 per month. After successful completion of one year of traineeship in the Bank the candidates will be absorbed in Grade/Scale Junior Management (JM) I as Deputy Manager. The current CTC of Deputy Manager is Rs. 13.20 lakh per annum approximately. The Selection Process for Management Trainee will comprise of a Written Test and Personal Interview. Those who qualify the written test will be called for the interview. Those who will get final selection will have to execute a personal bond for Rs. 3.00 lacs at the time of joining the Bank. The bond stipulates that candidate has to serve the Bank for one year as management trainee from the date of joining the Bank and minimum of 5 years as Deputy Manager from the date of absorption of in the Bank’s service. These were the brief details about the EXIM Bank Recruitment for Management Trainees. However you should also visit official notification and official website for further details.